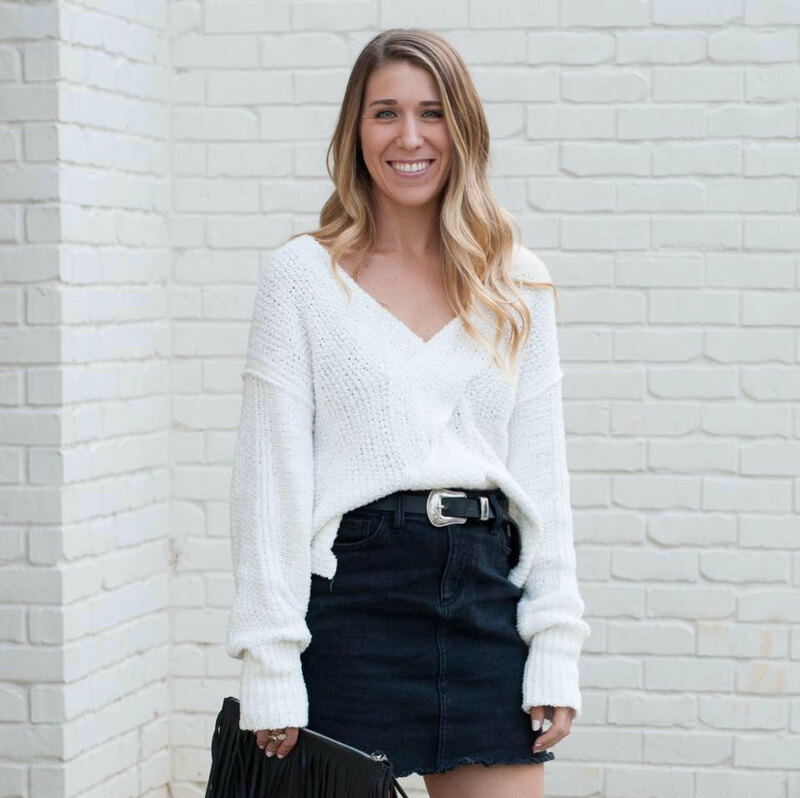 Can you believe it's almost Thanksgiving?! And next comes Christmas?! I'm in shock by how quickly this year has gone by. ANYWAY, I am so happy that it's getting closer to Christmas! It's one of my favorite times of the year, right behind Fall- which sadly only feels like it for two weeks here in Atlanta. 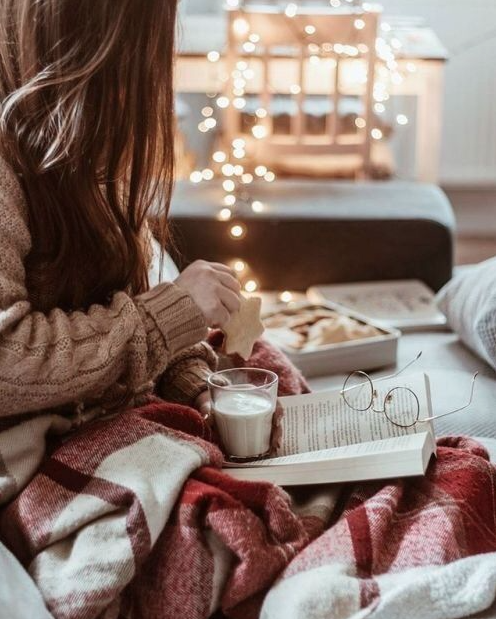 Christmas time brings up so many fond memories for me- my family getting together (& trying to avoid to the "are you seeing anyone" question), Christmas music, decorating the tree, and cooking all day long for a wonderful Christmas dinner. When it comes to big holiday meals, I like to find recipes that aren't too complicated or time consuming. I mean seriously, who has the time to bake a Crème brûlée? Not me! That is why, with the help of Donsuemor, I came up with the easiest (& most flavorful) vanilla bean no bake cheesecake. The real star of this recipe is their vanilla bean sablé cookie. 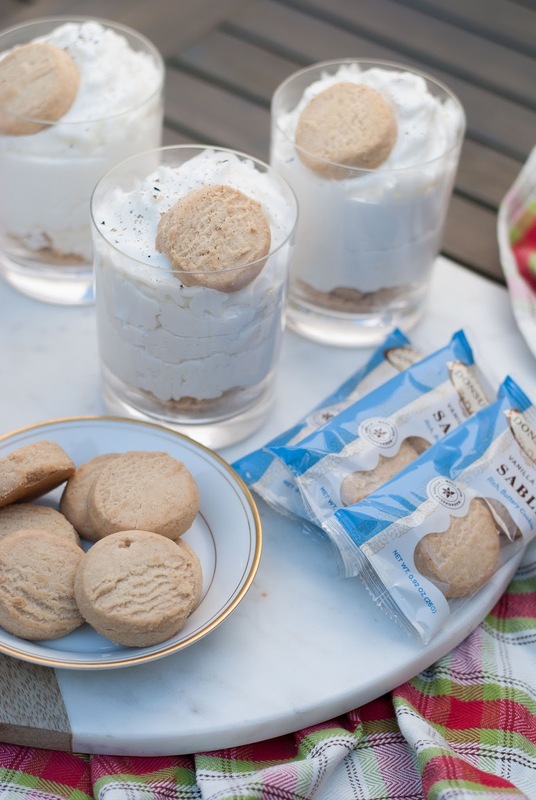 Sablés are round French shortbread cookies and these specific cookies are packed with vanilla bean flavor. They really do bring the whole recipe together! 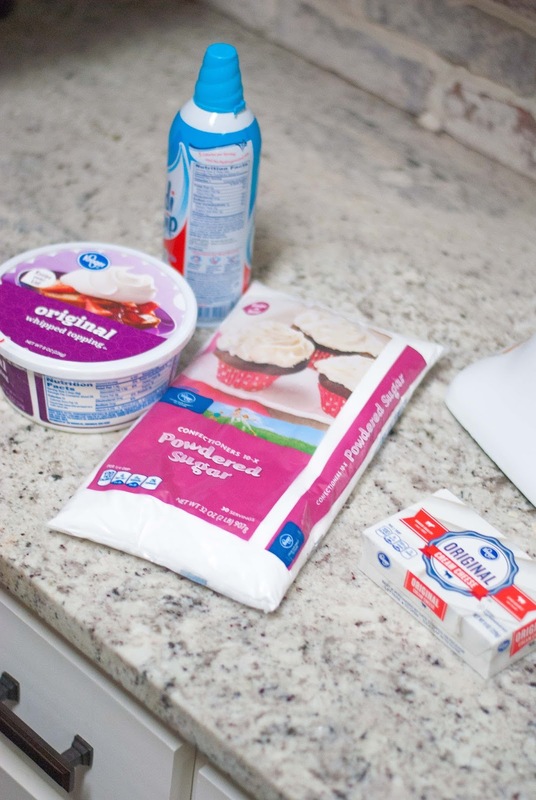 Now, let's get started on this delicous no bake cheesecake! I also have the full recipe towards the bottom if you don't want to go step by step. Start by placing the cookie in the middle of a piece of parchment paper. Fold the parchment paper over and crush the cookie using a meat pounder. Continue with 8 of the cookies, placing 2 cookie's crumbs per cup. Set cups aside. Next, beat the cream cheese with an electric mixer until creamy, trying to get rid of as many chunks as possible. That's why it's important that it's at room temperature. Then add in the cool whip, vanilla extract, and sugar. Next, scrape the beans out of 2 of the vanilla bean pods. To do this, cut the bean down the middle (lengthwise) and open it slightly with your fingers. Then scrape the seeds out with your knife. 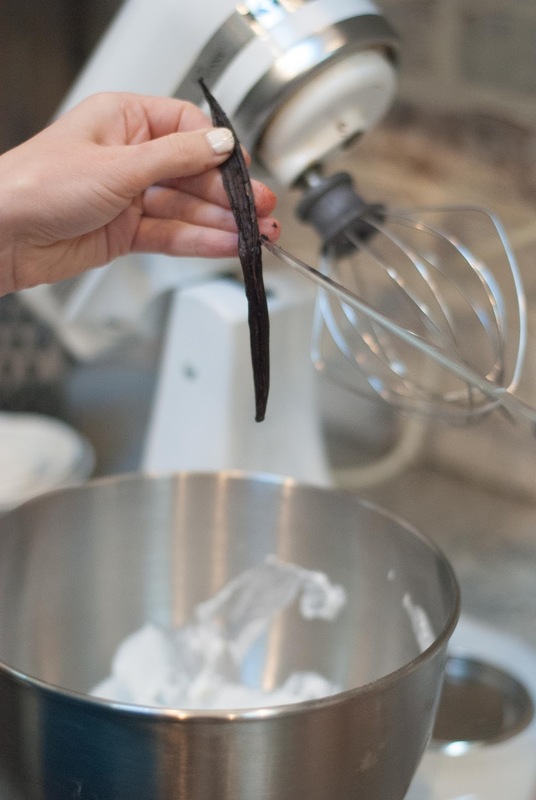 You can use more or less vanilla bean, depending on your preference. Then mix everything up well. 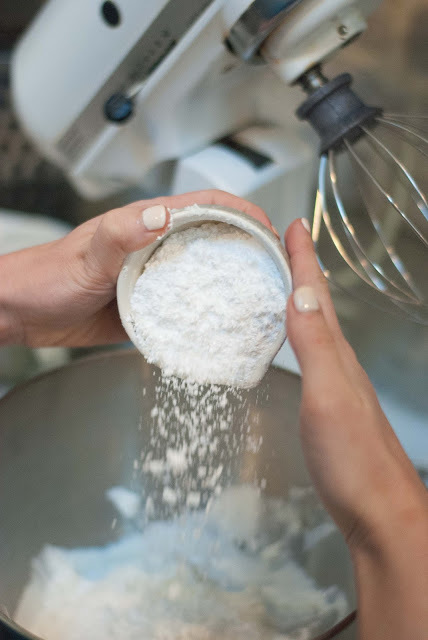 If your mixture is too thick, add a little bit of milk until you get the consistency you want. You want it to be easy enough to scoop but not too watery. Similar to the cool whip consistency. Time to assemble! Spoon the cheesecake mixture, about a cup, over the cookie crumbs. 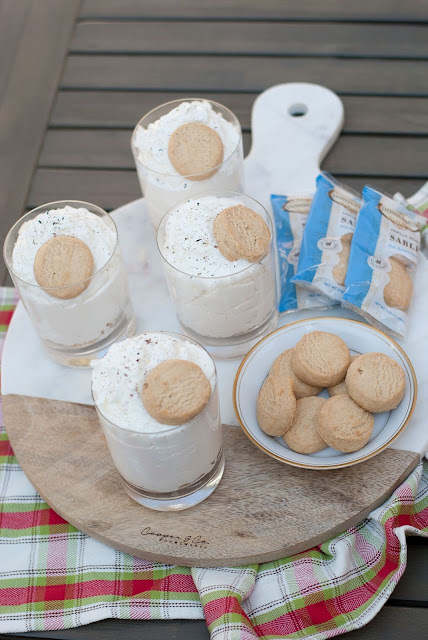 Top with whipped cream, a cookie, and additional vanilla bean. Now enjoy your delicious and easy dessert! 1. 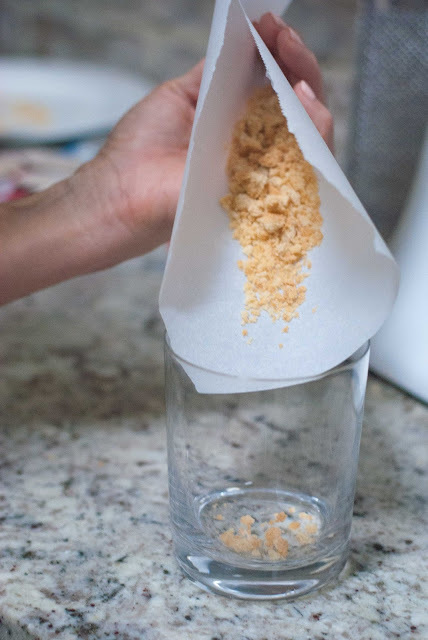 Lay out a piece of parchment paper and place a cookie in the middle. 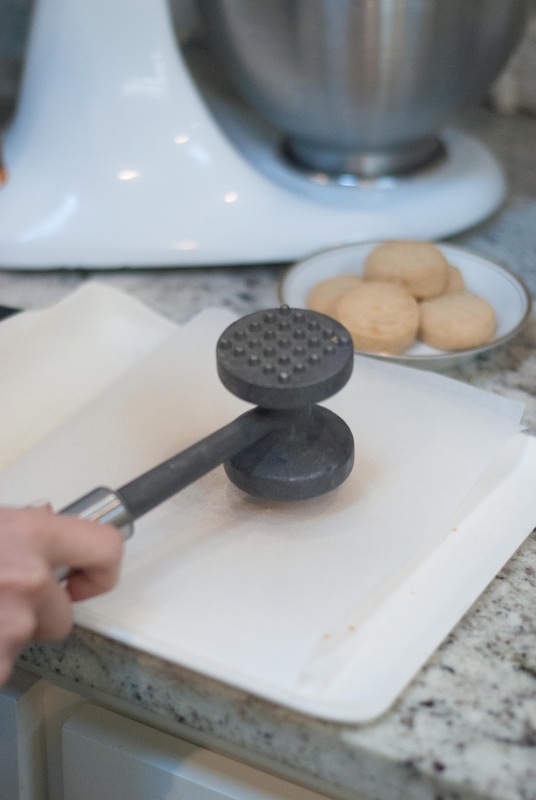 Fold the parchment paper over the cookie and crunch the cookie with a meat pounder (or a rolling pin, cup, etc.). 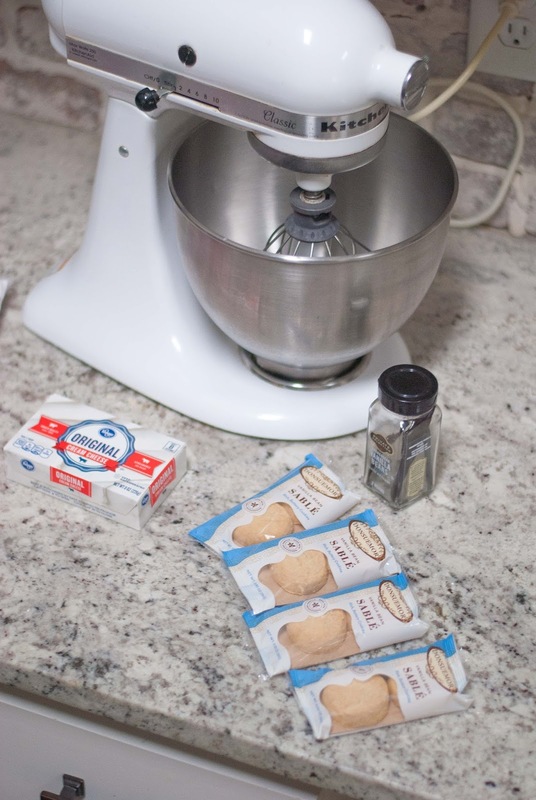 Continue with 8 cookies, putting two cookie's crumbs per cup. Set cups aside. 2. 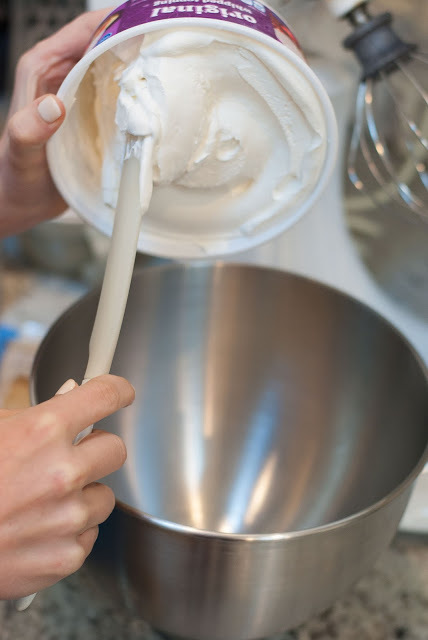 Using an electric mixer, beat your cream cheese until smooth. 3. Next add in the cool whip, sugar, vanilla extract, and 2 of the vanilla bean pod's seeds. To scrape out the seeds, cut the pod down the middle lengthwise and open it with your fingers. Scrape out the beans with you knife. 4. Mix everything together well. 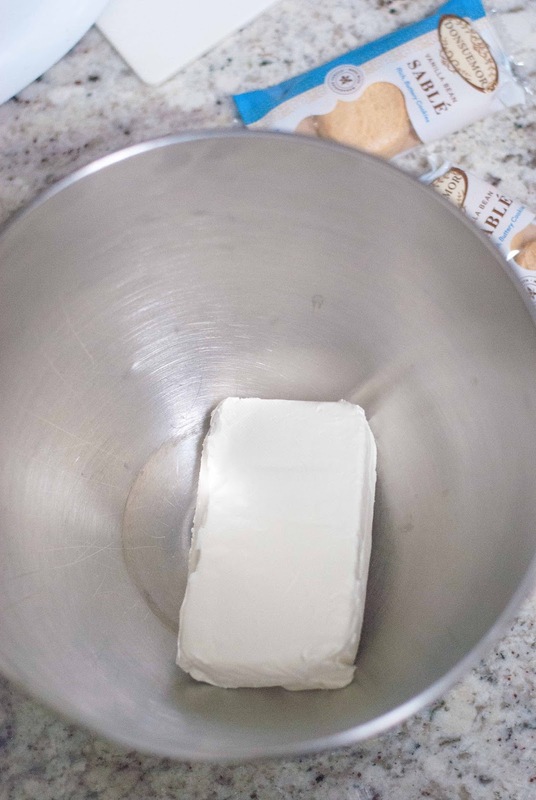 If the cream cheese mixture is too thick, add in a little bit of milk to thin it out. 5. To assemble, spoon the cream cheese mixture, about 1 cup, over the cookie crumbs. 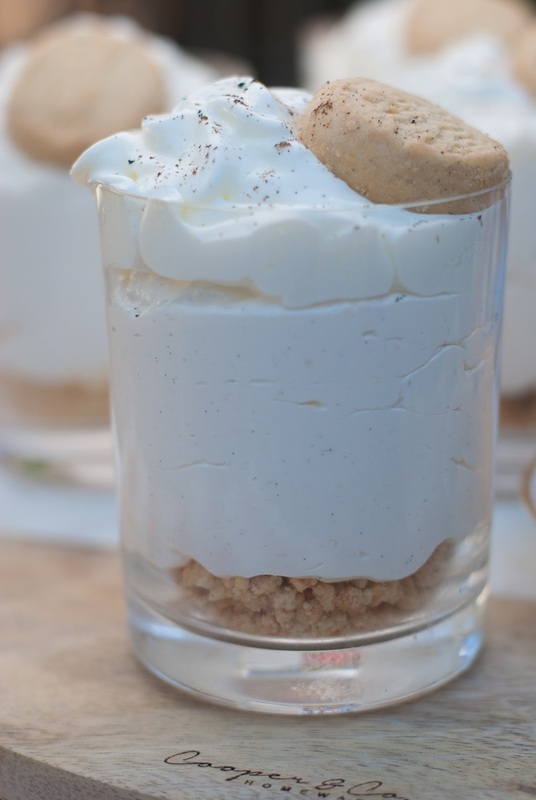 Top with whipped cream, additional vanilla beans, and a sablé cookie. Enjoy! Thanks again to Donsuemor for the delicious cookies!